Are you done with the whole website building thing for your business? Then it’s high time that you should start focusing on how you are going to engage your customers & direct traffic to your website!! You think that it’s easy but let me tell you, it’s not!! There is a whole new digital marketing world that is booming and the big fishes are making a lot of money by reaching their target audience through its means. So, how can you start off just like them? The answer lies in the content. People nowadays want to know everything in the shortest & fastest way possible. There are three basic online marketing tactics that could help you achieve what you want which is ‘potential customers’. 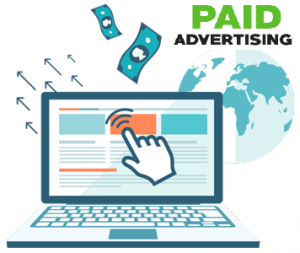 Online advertising is the best solution to reach your target audience through some e-tactics like paid advertising you can reach up to goal. Start by creating highly targeted online advertisements to appeal your target audience. Find out their interests, what they need & want, how they want it and most importantly what will get them to visit your website. You can use many advertising platforms like Google Search, LinkedIn, Facebook, YouTube, Twitter, etc. These platforms are very useful & many big e-commerce stores (such as Daraz, Foodpanda, Eatoye, etc.) use these tactics by targeting people according to gender, age, income, specific keywords, online interests, location, etc. Through this, you can find your potential customers & give them exactly what they need by knowing what they are searching on the internet. 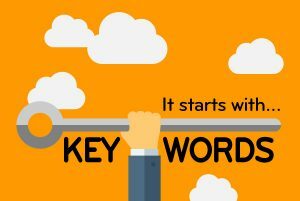 Select the best keywords by doing a full keyword research on what your customers want & where they go to search, such as Google, Bing and a lot of other search engines have created different internet handbooks through which you can learn all about it. For instance, if a person writes ‘food delivery’ on Google then FoodPanda is on top of the list & that is all because of their good keyword research & SEO. You can also promote your website through different social media pages & link back to your portal such as Facebook, Twitter, YouTube, Instagram, etc. There is a whole new ball game in the digital marketing world with endless opportunities. To get high ranking on search engines through SEO (Search Engine Optimization) you can build a content strategy for on-page optimization, off-page optimization & other technical SEO tactics. 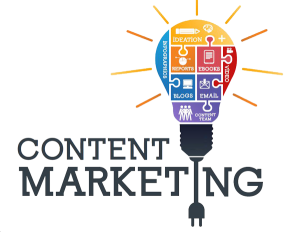 Through engaging content (such as blogs, articles, social media posts, press releases, news, promotions, sales offers, ads etc.) you can break the clutter of online content & reach your customers to increase your sales. Because, if you are publishing interesting content, people are most likely going to try to find out the source of the content & that is your queue to send them to your website by creating back links in the content. 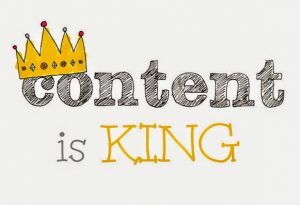 So there is the reason why wise people say that ‘Content is King’!! Hook your customers by creating an endless loop of great content that they will find useful & visit your website all the time, every time. ‘Observe & create’ is the motto of Sahrish and writing is the one thing where her passion lies. Whether it's putting creative ideas together or writing useful blogs about marketing, advertising, social media & latest interesting trends, she knows how to articulate her opinions on any topic. She has gained valuable insights and experience at Crea8ive Bench in her area of expertise, and is eager to learn much more in her life. 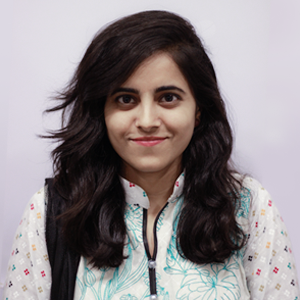 Sahrish is an optimist and believes in seeing good in people & situations. Besides writing, she is a movie geek, music & coffee lover.